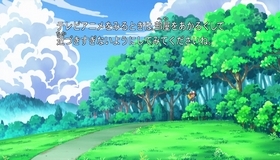 The Battle Club and Tepig's Choice! 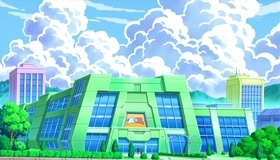 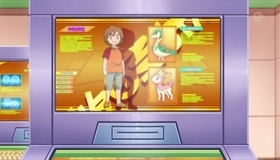 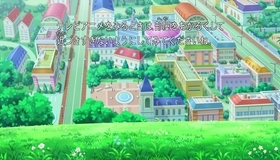 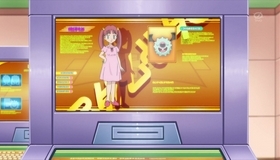 As Ash and Iris continue toward Striaton City for Ash's first Unova Gym Battle, Iris tells Ash about the Pokémon Battle Club, a place where Trainers can battle each other to develop their skills. 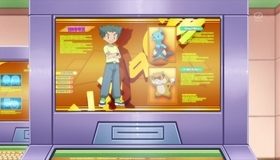 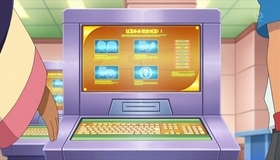 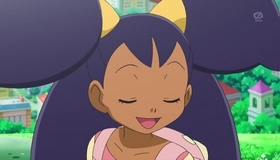 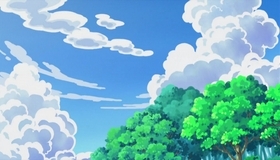 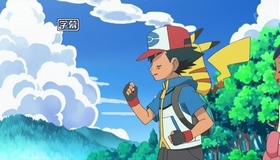 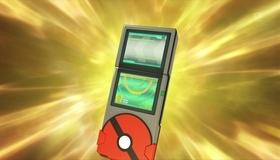 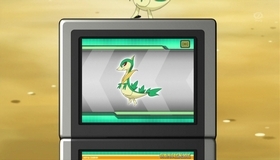 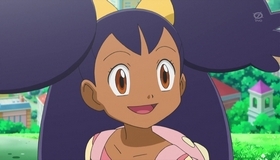 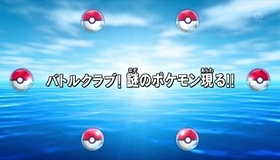 But after Ash accepts a challenge from a Trainer there, the Battle Club is suddenly closed down. 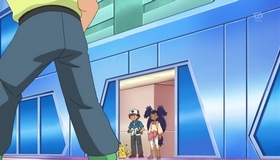 It appears that someone-or something-has broken into the storage room where the food is kept! Based on the blurry image on the security tape, Ash thinks the culprit might be an Umbreon (a Pokémon that isn't native to Unova). 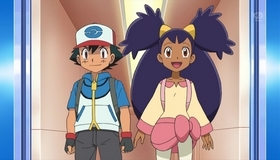 But when Ash puts some Pokémon Food out to lure it, he and Iris are surprised to discover it's really a dirty, skinny Tepig, trying to scrounge for dinner. Ash manages to calm the frightened Tepig and frees it from a rope that had been tied around its snout by an uncaring Trainer who abandoned it at the Club. 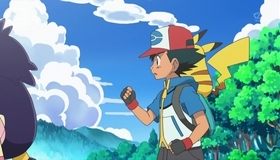 With the rope gone, Tepig can eat again, and under Ash's care it quickly recovers its strength. 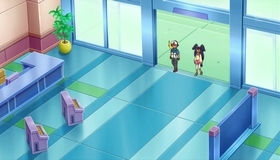 It turns out that Tepig isn't the only trespasser-Team Rocket has been attempting to steal supplies from the Club as well. 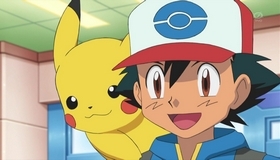 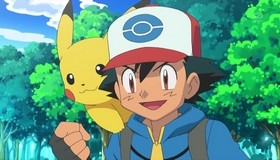 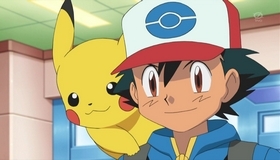 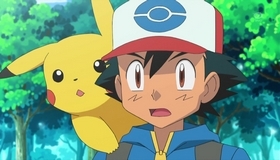 But when Team Rocket kidnaps Pikachu, Tepig helps Ash with the rescue. 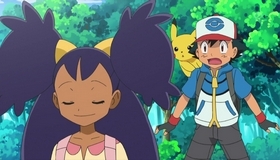 We don't have a preview for this episode!